A selection of printable, one-page cheatsheets. Click on one of the following to download. These are all 1 page long, and look great when printed. 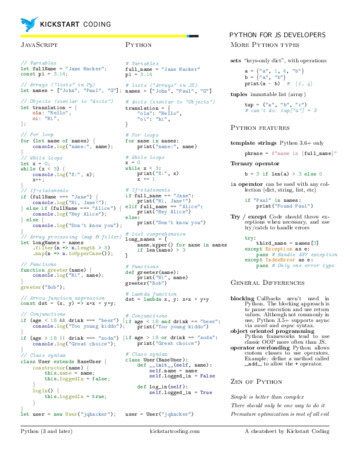 Consider printing to hang up near your computer as you code or learn a new programming language! 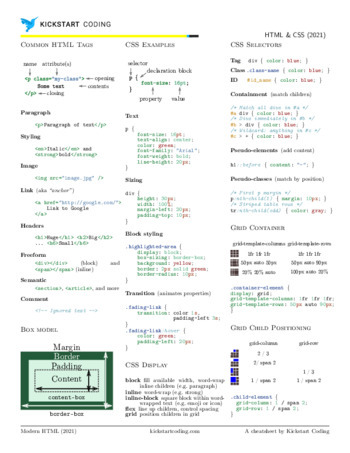 A cheat-sheet containing just the most commonly used stuff in modern HTML & CSS, including CSS Grid and pseudo-selectors. Learning CLI and Git usage on macOS or Linux? 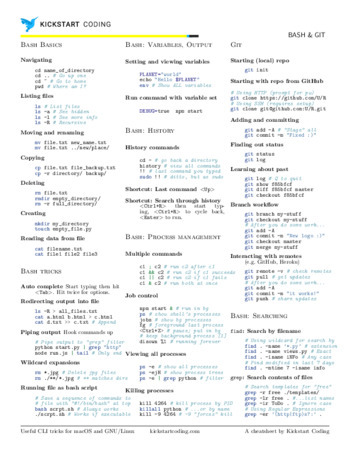 This cheatsheet has the most commonly used commands in Bash and Git. It also contains more advanced usage, such as using grep, find, piping, redirection, job and process control, and interacting with the bash history. 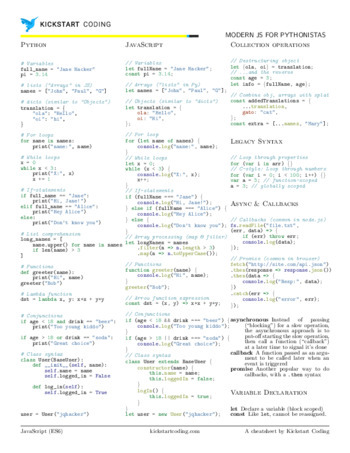 A cheatsheet with common tasks in Python. Designed for Python 3.x, but will mostly work with 2, also. Learning React, Redux, and React Router can be tricky. This crams in important syntax and examples for common React and Redux coding patterns. Includes a Redux diagram, JSX syntax snippets, map and ternary operator examples, conditional rendering, action creator and reducer examples, React form events, and component syntax examples. Learning Django? Here are some common patterns of Django, along with a diagram showing how the Models-View-Template system fits together. 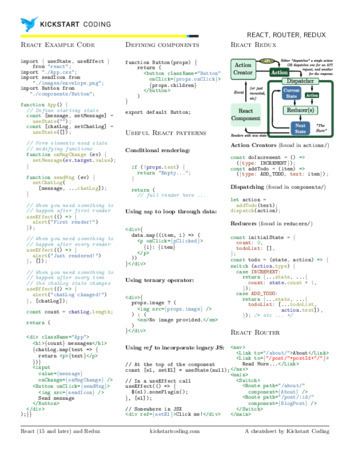 More cheatsheets, corresponding to weekly Kickstart Coding curriculum. 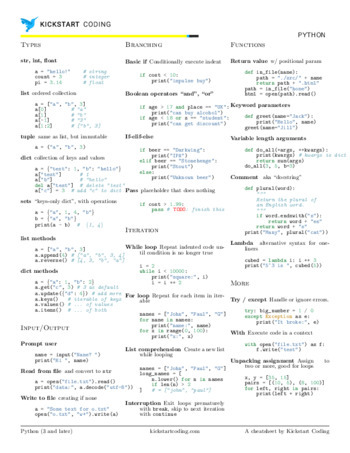 How it's built: These cheatsheets are written originally in Markdown, converted into LaTeX using pandoc and a custom pandoc LaTeX template (very messy), and then generates the PDF. All this is tied together using the Bash script build.sh. 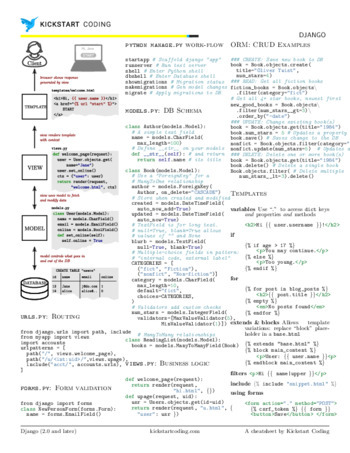 Writing your own: Want to write your own printable coding cheatsheets? It's easy, as long as you know Markdown! Look at the existing .md source files for ideas, then follow the DEVELOPMENT.md for instructions on how to re-build the PDFs yourself.